Installed tracker, had 47 text messages in 24hrs saying vehicle moving, at speeds from 1-436kph. This morning had text that it was in Amersham, this afternoon it's in Oxford. I am looking at the vehicle, it's in front of me, in South Wales. On the plus side, if you call it then it will show you where it really is, and it's easy to fit. Lucky, cos it will be easy to remove too! Fitted with not much difficulty, and set up relatively easily once I downloaded the instructions rather than use the booklet supplied. I get text alerts for everything I set up, and I like the fact it links to Google Maps. My only issue is the fact it drained my bike battery within one week as I didn't ride it. So, an Optimate or similar is vital! Dimensions - 89mm x50mm x16mm. 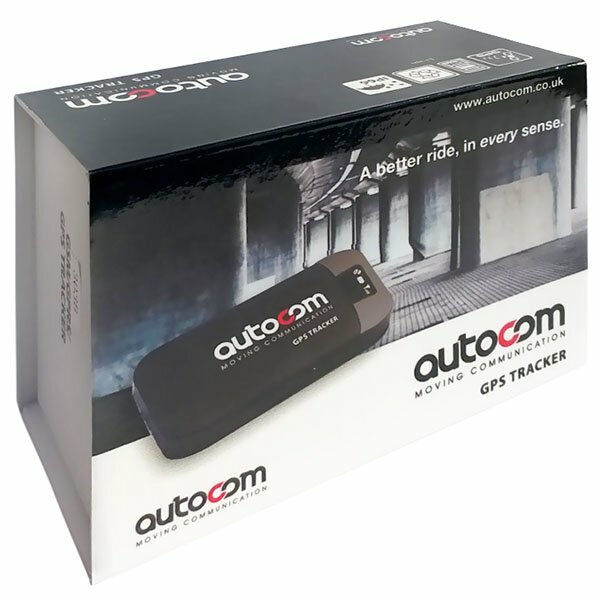 The Autocom GPS Bike Tracker makes monitoring your prized possession easy, fun and very affordable. The GPS tracker has no expensive annual contracts and is loaded with security features that include movement and shock sensing, precise location detection and GEO-fence movement restriction. Operating it is as simple as sending a friend an SMS! Your bike's location can be viewed on a smartphone, tablet or PC. Retrieve the information on demand or automatically stream data over time. The unit continues to monitor even when there is a loss of GPS signal giving total piece of mind. The Tracker is powered by the bike and also has internal battery backup. Waterproof and dust proof, it won't let you down regardless of where you and your bike travel to! The Tracker is incredibly simple to install and easy to operate and uses a standard Sim card purchased from any high street store. Many years of dedicated research and development have enabled Autocom to offer systems which are the ultimate in performance and value. Autocom is a leading innovator in its field and the brand is your guarantee that the system has been designed, built and tested to the very highest standards. All Autocom systems are engineered for maximum comfort and Autocom headsets are designed for easy installation with no modification to the helmet. All Autocom systems and components are designed and built to last, every product being rigorously tested. The superior performance of Autocom systems is renowned. Innovative features, exceptional quality and outstanding performance means Autocom offer extraordinary products at unbeatable value. Autocom headsets are designed to install quickly and easily into virtually any type of helmet. Hi, Sorry i don't speak good English I'm interesting for an Autocom GPS Tracker I wan to install it on an motocycle Can i connect it to the intermitent power line ? For me it's a good solution because it's charging when i'm driving and when i'm not driving, no battery impact. 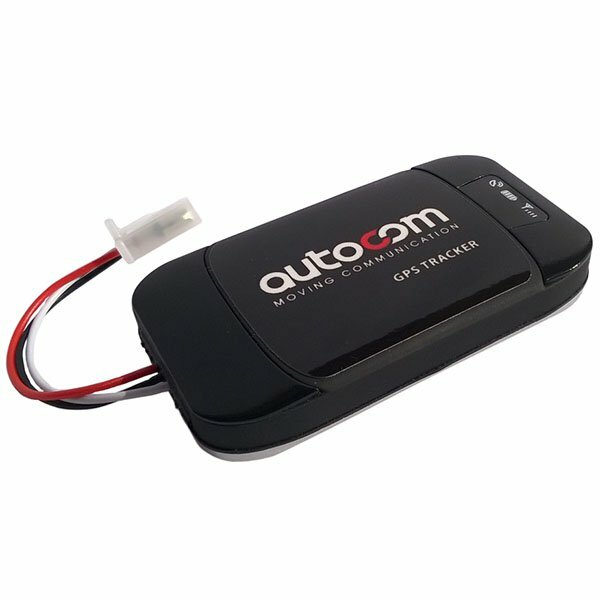 Is Autocom GPS Tracker able to this without breaking your battery by charging and discharging ? The tracker is designed to be powered by your bike battery, with an internal battery for back up. G sensor / Shock sensor - can I adjust sensitivity of the shock sensor? If G threshold is exceeded will I get a text message, phone ringing? Will G sensor work in a sleep mode? This tracker has 3 sensitivity levels. If these thresholds are exceeded, the tracker will always send a text message (this is the only form of communication you will receive from the tracker). When the tracker is in Deep Sleep Mode, all functions are turned off including the Movement Sensor. The Deep Sleep Mode is for battery preservation only, when the motorcycle is stored as safe as possible. what size sim does the autotracker take? The Autocom Tracker will only be able to accept standard sized SIM cards. If you have reduced the size of your SIM card to Micro or Nano, they will not be compatible with the Autocom unit. Will this work overseas (in New Zealand). Has this been tested with SIM cards from other countries ? Autocom state that the Tracker will work overseas - there does need to be an available network that will work with the sim card(this applies to both UK and International sims) There have been no issues reported at all from customers overseas. As stated, the tracker is not suitable for use with the 3 network. What sim card is recommended for the tracker unit? The only network that we are aware of that will not work is the 3 network. Does this system notify my phone automatically if bike is taken/stolen immediately? As long as the system is armed it will notify you via an SMS. The only network we are aware of that will not work is 3, so you should have no issues running an O2 sim. Yes, The SIM card is used much the same way as in a mobile phone. Each time a command/message is made from unit to phone, the usage would be at the standard rate of your supplier. how regular is the signal detected, can I track my moving bike to the point where I can be right behind it? The frequency of the messages can be adjusted by a command on the tracker, so you could receive a text to your phone as often as every 20 seconds (for example)You would then be able to track your bike using Google Maps. Does the unit connect to your battery?.. Also. If bike is not running for a while example 1 week. Will the unit drain the bikes battery. Will this until drain bikes battery at all? How long does the internal battery last for? Also, how does the alarm send the location data back to a server? Does it use mobile data? Thanks. The battery will last for a number of days in sleep mode, and for around 24 hours when active. The unit is designed to be powered by the bike with battery back up. It does not send location data back to a server like a subscription tracker, everything is done via SMS to the mobile phone numbers on the tracker sim card. If no GPS signal is available, the tracker will use mobile phone masts to triangulate its location.